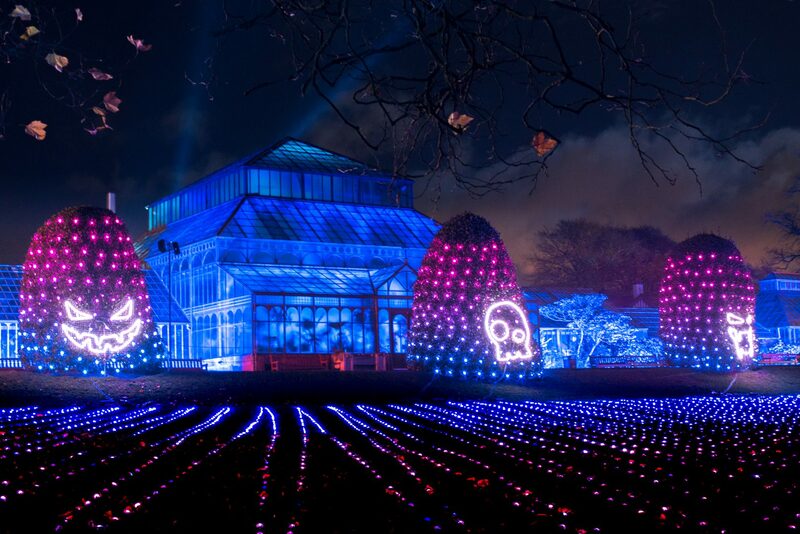 This Halloween-themed rework of our Sea of Light installation was the largest to date, bringing together over 10,500 individually mapped LED spheres, artfully arranged across the lawns at Glasgow Botanical Gardens to create an explosive display. 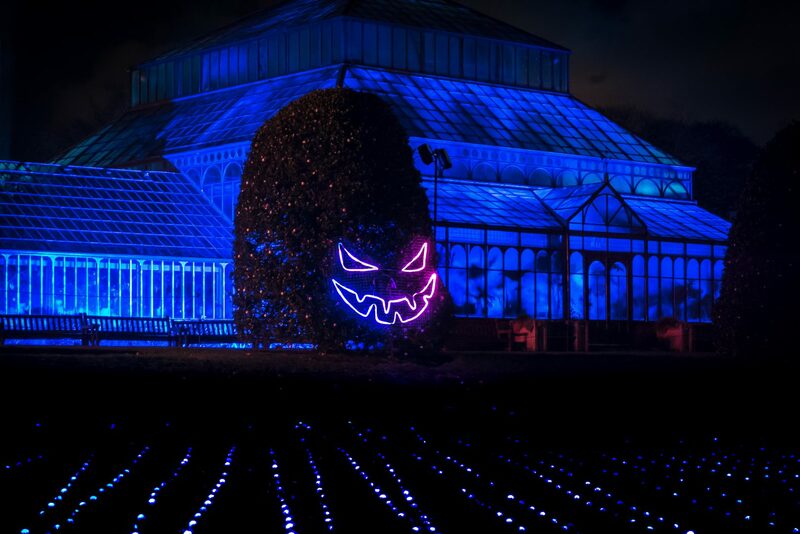 These were framed by six illuminated giant holly bushes with ‘hidden’ ghostly Halloween faces that revealed themselves mid way through the light show – appearing and disappearing in time with the music. 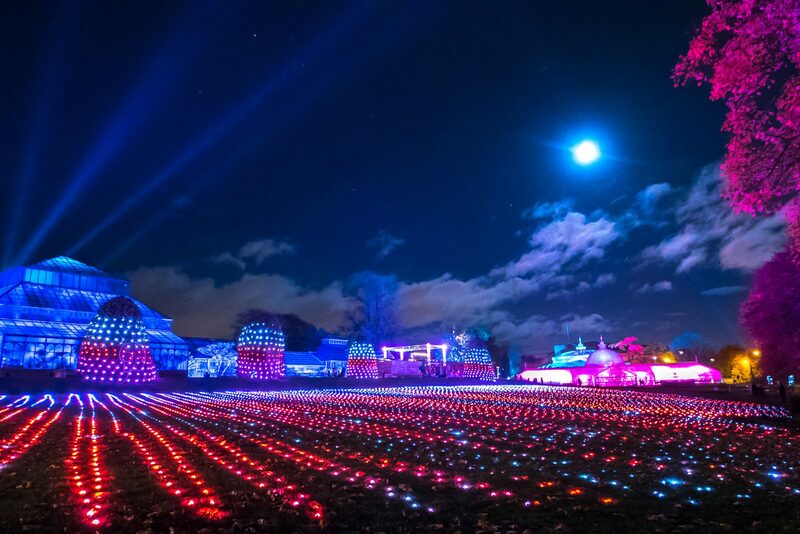 The monstrous apparitions were custom designs made up of over 5,000 neon pixel-mapped LEDs. 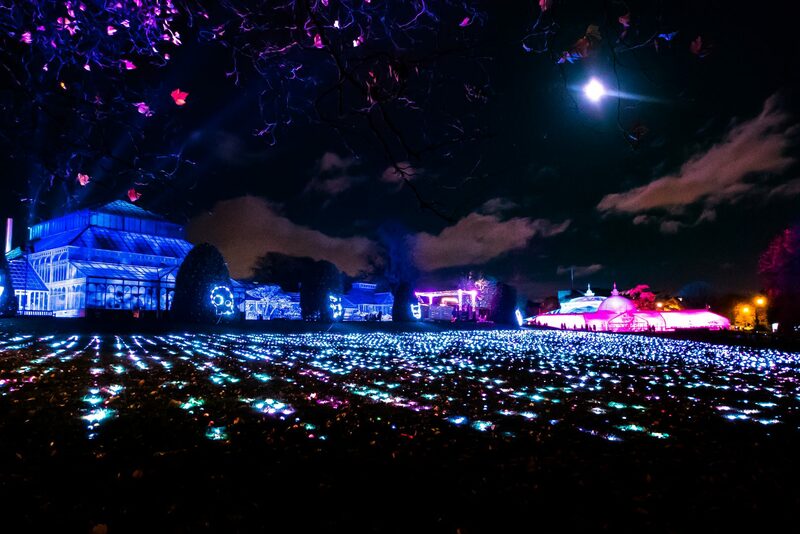 The entire show was set to a haunting, cinematic soundscape, inspired by the dark themes of Tim Burton & Danny Elfman and composed by Ithaca. 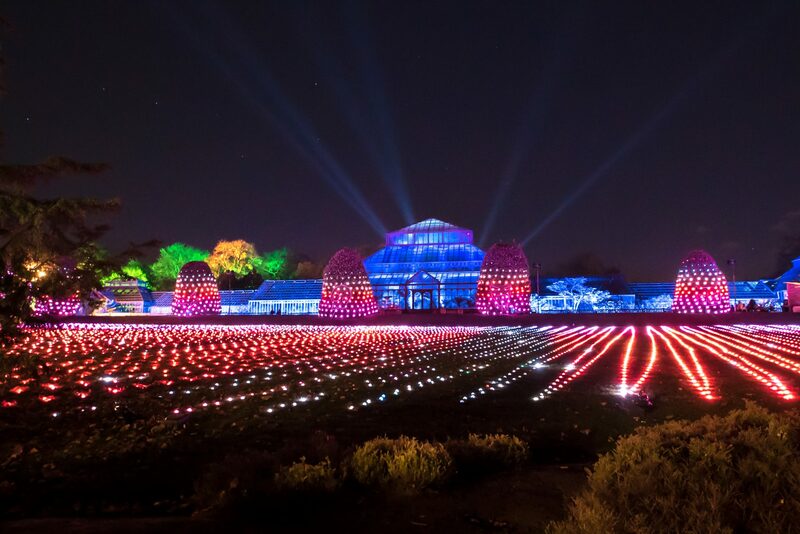 GlasGLOW 2018 presented by Itison at Glasgow Botanic Gardens. 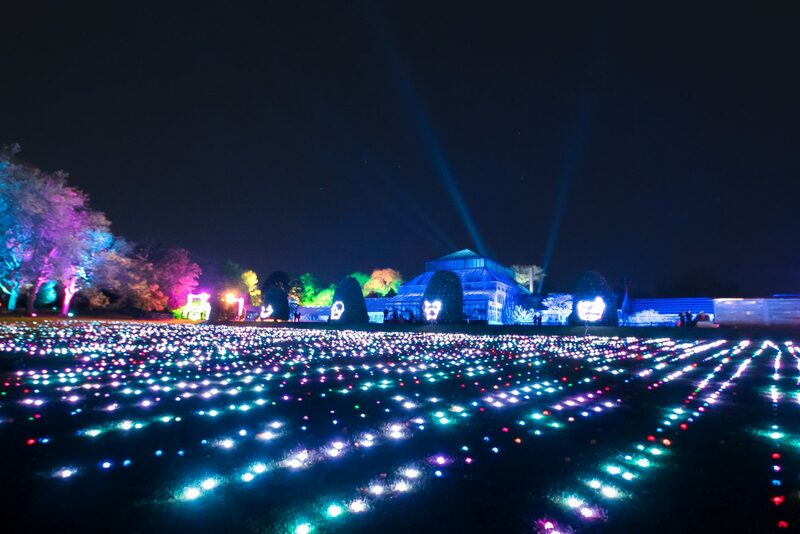 Drone filming by Itison.